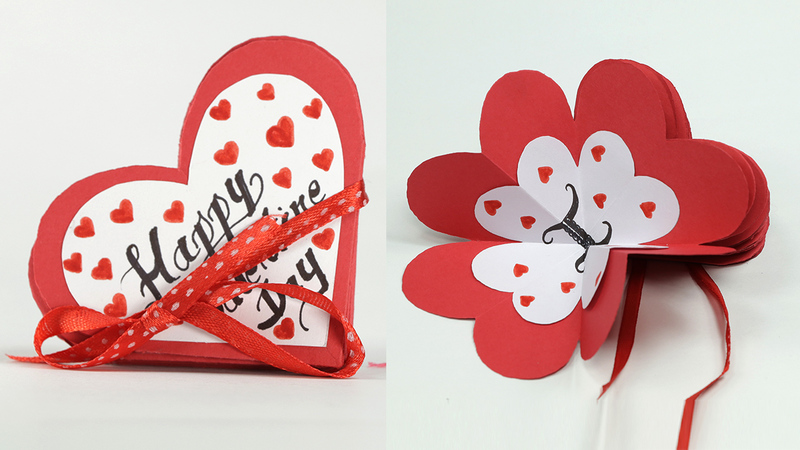 Make your Valentine's Day extra special with an adorable accordion flip heart card. Handmade cards are always unique and leave a lasting impression on anyone. Moreover, accordion fold cards not only look breathtaking but also not complicated to make. And when you make an accordion fold of hearts for greeting card, expect your lover to be floored by your gesture. You do not have to be an expert in DIY cards to make this love card. Just follow the step by step instructions shown in this tutorial to make this card. So, what are you waiting for? Get ready with your materials and make this valentine card.